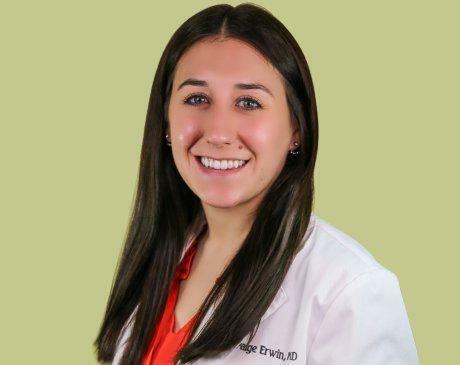 Paige Erwin, DMD, provides excellent oral health care and patient education as a general and cosmetic dentist at Premier Dental Associates of Lower Manhattan, the Financial District. Dr. Erwin focuses on each patient and offers a comfortable and stress-free appointment each and every time. Dr. Erwin attended the University of Pittsburgh, earning both her undergraduate and doctorate of medical dentistry. She continued her residency training at Mountain Area Health Education Center in Asheville, North Carolina. In addition to being a member of the American Dental Association, Dr. Erwin is also a member of the American Academy of Pediatric Dentistry, New York Dental Association, and the American Academy of Developmental Medicine and Dentistry. She volunteers some of her free time in Dental Mission trips to Jamaica and to the Boys & Girls Clubs of America “Give Kids a Smile Day,” providing dental care to children unable to visit a dentist regularly. By creating a positive attitude about expert dental health, Dr. Erwin creates a clear dialogue between patients and herself. She also enjoys watching football, being outdoors, and exploring New York City.